After picking up a set of new wheels I started getting the tire senor error dash light. this was quite annoying as I wanted to use these new tires and wheels as my primary set. 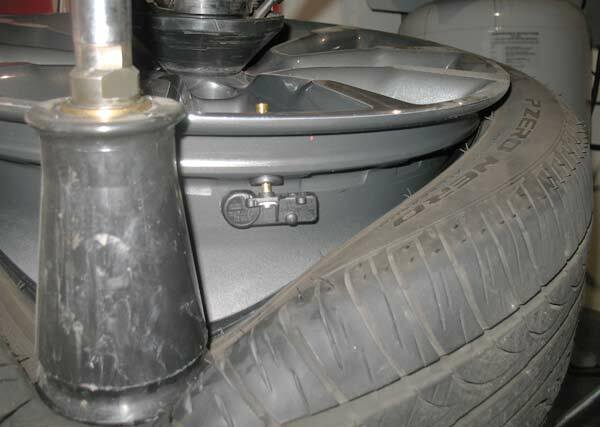 So I talked to the guys over at Late Model Restoration about a set of mustang tire pressure monitoring sensors.For the 2010 and up Mustangs, Ford now utilizes a Schrader Valve mounted TPMS Tire Pressure Monitoring Sensor that makes for easier installation. 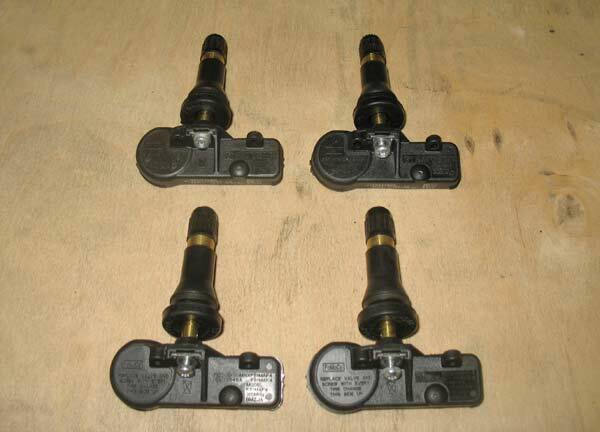 These sensors are sold as a set of 4, 1 kit is all you need for your new wheels on your 2010-2012 Ford Mustang. 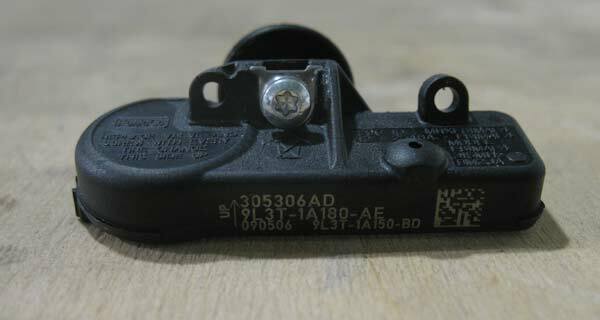 On a side note if you buy these sensors from Ford then you do not need the learning tool. Also if you get a 2nd set of 3rd party sensors and they will not train then you have to let the new tires sit for 10 min with less than 10lbs. Then they will train. Here is the kit as it comes out of the box. 4 Sensors and 1 Ford Learning tool. 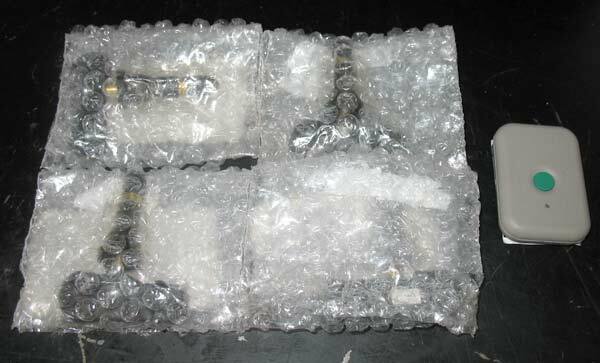 Here are the valves and sensors assembled. A close up of the sensor. It uses a torx head screw to connect to the valve stem. 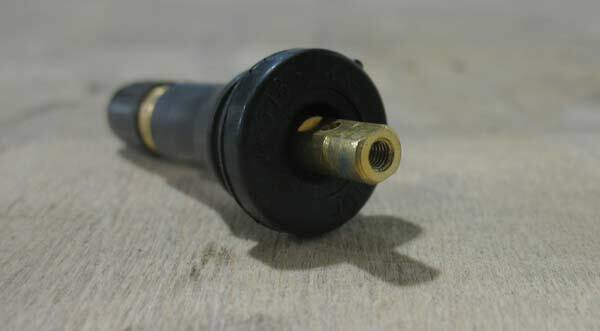 You can remove your schrader valve to quickly remove all the air pressure. Here is the part you can not do yourself unless you have the equipment. 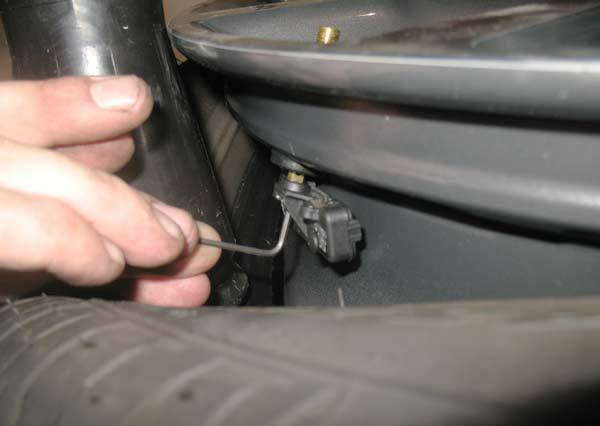 You have to press the tire down so you can access the valve stem assembly. Screw the sensor back onto the valve stem. Installation finished. Now to inflate the tire. This part is not as hard as it sounds. First you put your car into learning mode.Download the full tpms_instructions The short version is below. 1. Turn the ignition switch to the OFF position, then press and release the brake pedal. 2. Cycle the ignition switch from the OFF position to the RUN position 3 times, ending in the RUN position. 3. Press and release the brake pedal. 5. Turn the ignition switch from the OFF position to the RUN position 3 times, ending in the RUN position. 6. 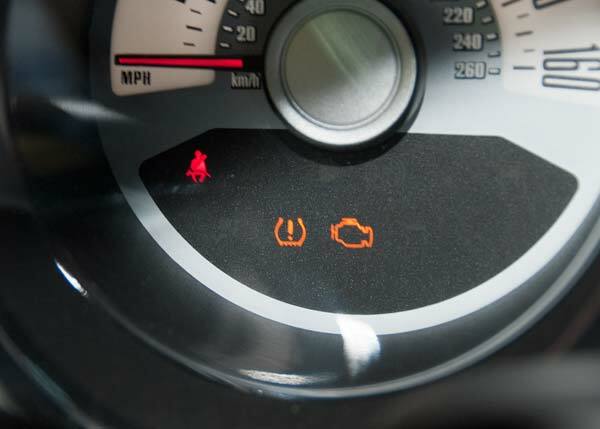 The horn will sound once and the TPMS indicator will flash if the training mode has been entered successfully. 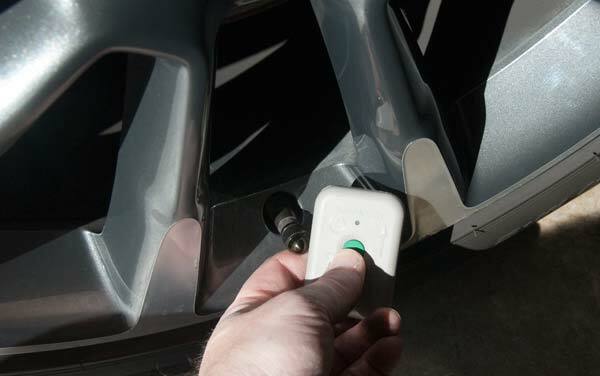 When the car ECU is ready then you walk around to each tire holding the TPMS19 learning unit next to the valve stem and click the button.NOTE: It may take up to 6 seconds to activate a tire pressure sensor. 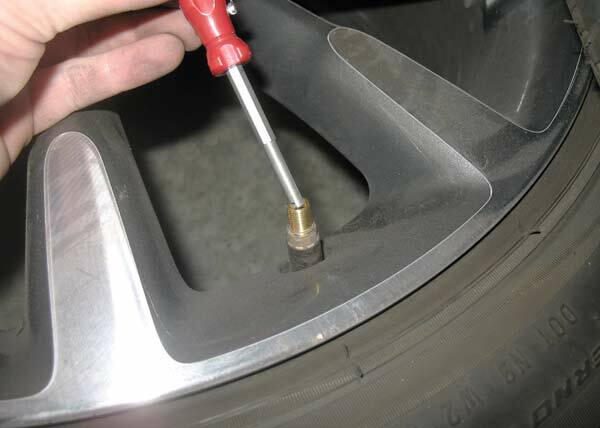 During this time, the Tire Pressure Monitor Activation Tool must remain in place near the valve stem. This is the order you scan your tires into the system.Now enjoy not having the warning message come on every time you drive for more than 30 min. 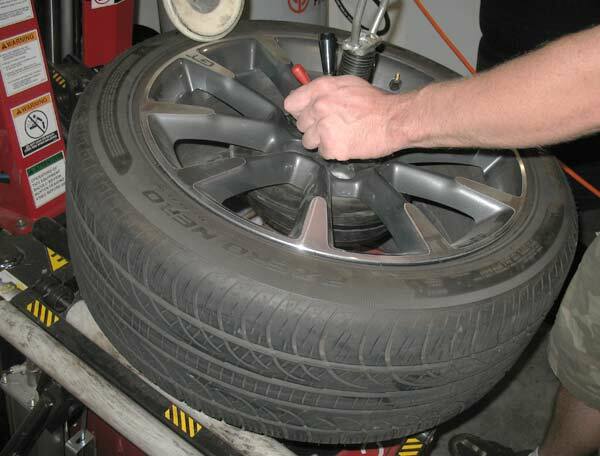 Follow this link to read more about this tire pressure monitoring system.